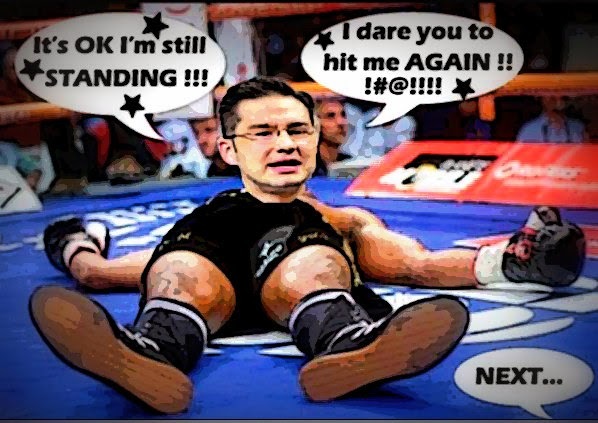 The one good thing about the foul Fair Elections Act is the way it has transformed Pierre Poilievre into a parliamentary punching bag. Because it seems that every day somebody is taking a shot at him and his bill. And today it was the election expert Harry Neufeld’s turn to tell Poilievre to amend the bill or KILL IT. Harry Neufeld, the author of the report often cited by government officials to support its proposed changes to Canadian election laws, says the government has to amend its election reform bill or kill it. The elections expert also fears half a million people could be disenfranchised based on changes included in the Conservative government’s Bill C-23, he told reporters following his appearance before the procedure and House affairs committee Thursday. Which of course must have been particularly painful or embarrassing for poor Pierre, since he has been quoting Neufeld’s report to claim that vouching and voter information cards are responsible for widespread voter fraud. Only to have Neufeld accuse Poilievre of misrepresenting his words, tell him there is no evidence of widespread fraud. And warn that eliminating voter information would prevent hundreds of thousands of Canadians, the kind who don’t usually vote for the Cons, from proving where they live. Elections Canada piloted a program in 2011 that saw 400,000 people use their voter information cards as proof of residence. The agency allowed students, on-reserve First Nations voters and people in long-term care facilities — many of whom don’t have a driver’s licence or other proof of residence — to use the cards to prove their addresses. Because you can see the problem here. If you choose option 2, these are the only original documents with a name AND an address . . .
And many people just don’t have them. And this theatrical attempt by one of the Cons on the committee to prove the contrary, couldn’t have been more embarrassing. 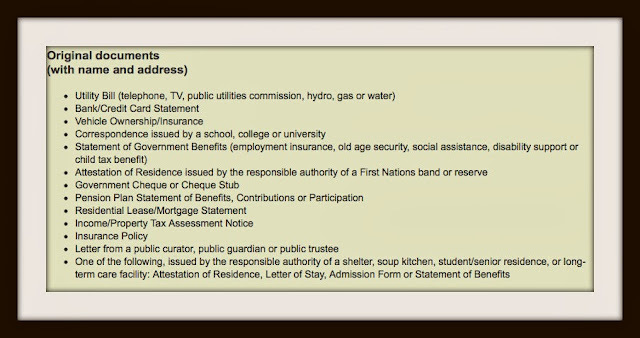 During the committee meeting, Conservative MP Erin O’Toole pulled out his wallet and rifled through his identification, repeating “Acceptable” after every piece on the list of 39 forms of identification Elections Canada accepts. “Which one’s got your address?” Neufeld asked him. O’Toole didn’t answer. But then Poilievre knows exactly what this bill is all about. It’s a foul scheme to suppress the vote, just like his fellow Republicans are always trying to do in the United States. It’s an attempt to make it easier to steal the next election, and by not giving Elections Canada the powers it requested, make it almost impossible to prosecute the Con criminals who tried to steal the last one. For it couldn’t be clearer. There is no way to defend that bill, it’s simply INDEFENSIBLE. And because it’s indefensible it’s bringing more and more ordinary Canadians into the streets all over the country to demand that it be killed. For they understand what is at stake. And that if you don’t fight for a democracy you lose it . . . Which of course is bad news for the Cons and their depraved leader Stephen Harper. For it appears that their attempt to suppress the vote is backfiring and is actually going to BOOST IT. 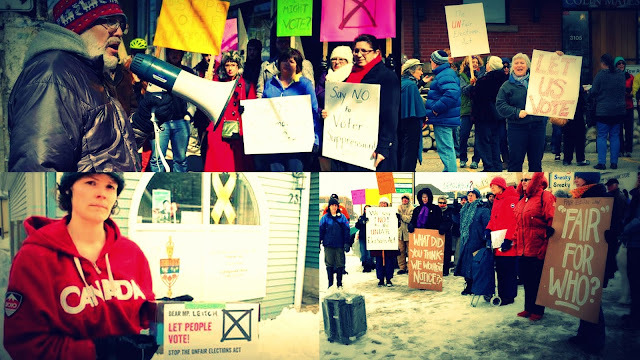 By motivating Canadians more than any other issue has done in recent times, to defeat the ghastly Harper regime. 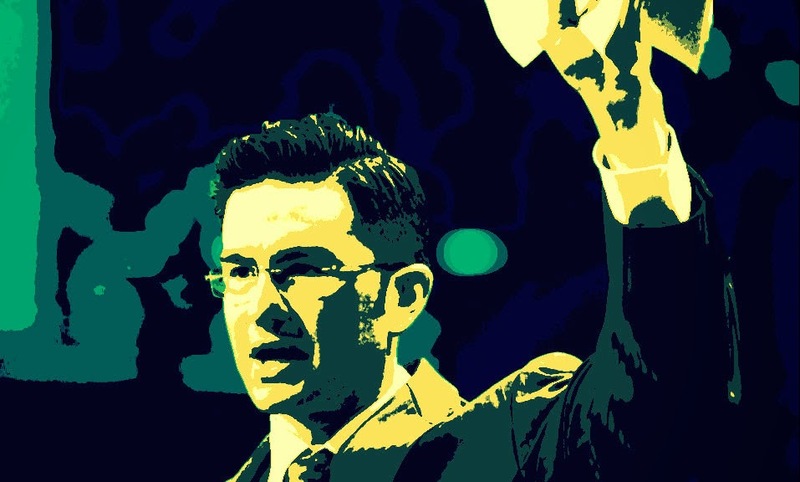 Poilievre set out to become a Con star by pounding the daylights out of our democracy. Only to end up as a human punching bag.